Lipstick Voodoo was an addictive, snarky, whodunit filled with paranormal woo-woo and characters you’ll want more of. 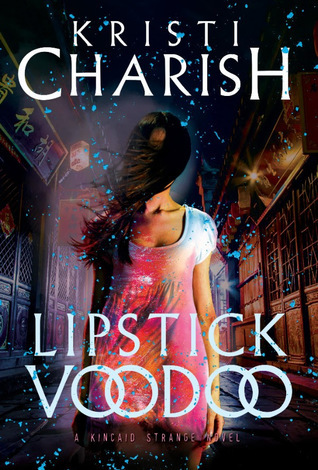 Charish does urban fantasy just right. 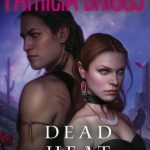 Fans of Richelle Mead, Jim Butcher and Dannika Dark will want to explore Kristi Charish worlds and characters. I listened to the first novel, The Voodoo Killings but scheduling had me reading this time around. Because this is urban fantasy and a lot of what happens in Lipstick Voodoo results from what occurred in book one. I love this series from Nate, her ghostly friend to the scary and intriguing Gideon. I have to confess Gideon has me perplexed, but page time with him was one of my favorite things in this story. For those who don’t know Gideon is a powerful dead sorcerer. Kincaid find herself indebted to him, and it appears she will work as his apprentice. Kincaid is a powerful and skilled practitioner who seems to fly by the seat of her pants. She is smart, but not well-rounded in her knowledge. She tends to learn as she goes. Nate is in serious trouble and hiding things from Kincaid. 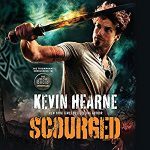 Despite her relationship ending with Seattle PD, Kincaid’s ex, Aaron a paranormal detective calls her in when a cold case has possible ties to Nate, her ghost. Before you know it Kincaid is secretly helping him with a strange murder that also leads back to Nate and his singing career. The author mixes in humor and snark as Kincaid gets herself out of predicaments and works to solve the case. After, the events in the previous book she needs a win. Some training scenes with ghouls, a ghost and time spent with Lee and her partner offered some interesting history on supernatural creatures from Wraiths to zombies. I loved the twisted Otherside, the undead city below Seattle and watching Kincaid investigate. I have a feeling we are just witnessing the beginnings of what Strange is capable of and the ending set up the next book leaving me longing for its release. I haven’t read this author before. This sounds like it would be interesting to read. I will have to add this one to my list too! yay! happy to hear this one is so good! my second WIP is about Santeria and Voodoo so I was super curious! I’m so reading it! Ooh this one sounds good. I need to get my hands on this series. I am really enjoying this series. 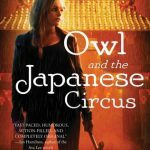 Have you read her Owl series? This sounds like a fantastic urban fantasy series. I’ve not heard of this author before! I really love stories with strong female protagonists and especially ghost stories. My favourite urban fantasy all of that at the moment is JR Ward, but she sounds a little darker than this. Yes, Ward is darker. I didn’t know she wrote UF. I always think of her series as paranormal romance. Starting it tonight. I had hoped to do a relisten to book 1 but I didn’t find time to do it. Yay, she does a lovely recap. This is a fun series from the setting to the mystery. Hahaha… I love your breakdown! I’ve been wanting to read this author for awhile and this looks so fun! I love paranormal woo woo – especially when there is snark and likable characters. This is a fun series Katherine. I hope you start it soon. This is an author that I want to read at some point. Both Owl and Charish sound like great characters. Heck yes, you need to snag both series! I like the title! Thanks for sharing this post. Me too. For some reasons I am drawn to the word Voodoo. LOL I hope you had a lovely holiday. Happy New Year! This series sounds interesting. Thank’s for sharing. I like the cover. I hope you try this author Angela. Love the title and everything else about the book sounds great. A city under Seattle,,,has my attention. This is a fun series and with only two books released now it the time to jump in! Agreed. A few awesome series are set there. That’s a series I really want to try! So curious! Ooo I hope you do Melliane. I have a feeling you will enjoy this one! A ghost friend would be interesting. Sounds like a good story. I need to find time to check out this series. Several of my trusted reviewers enjoy it. thanks! I love this author. She has several awesome series and I’ve heard they are awesome on audio as well! Oh, mam this looks yummy. I am going to add this to my wish list. Great review, Kim. Yay. I hope you do!